PICKERINGTON, Ohio — Area runners close out season at regionals. 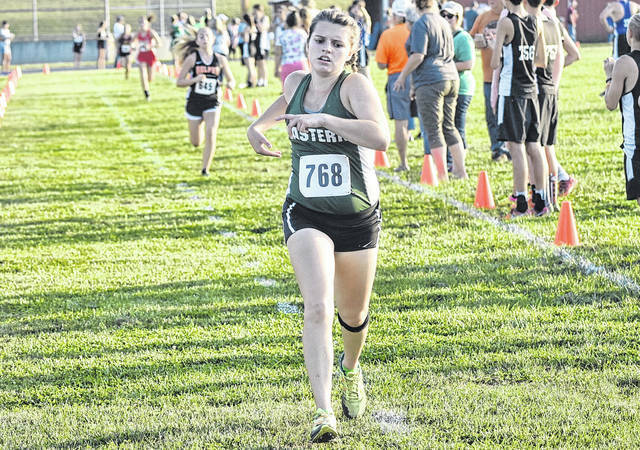 Members of the Eastern, Southern and South Gallia cross country teams competed at 2018 Division III OHSAA Regional Cross Country meet held Saturday on the campus of Pickerington High School North in Fairfield County. In the both the girls and boys events, the top five teams and those individuals that finish in the top 20 advance to the state tournament at National Trail Raceway in Hebron, Ohio. A total of 33 teams and 268 varsity participants competed in the event, with Mount Gilead coming away with the boys team title and Centerburg capturing top team honors in the girls event. Both varsity races featured over 130 runners apiece, with 131 boys and 137 girls taking to the course in the separate competitions. In the girls event, Centerburg posted the winning score of 57, while Mount Gilead captured second place with 80 points. Fredericktown (91) followed in third place, while Northmor (162) and Peebles (172) rounded out the top-five team state qualifiers. For the Lady Eagles, Ally Durst set the pace with a 31st place effort of 21:28.4, while Rhiannon Morris (21:35.1) was next with an 36th place finish. Whitney Durst (22:40.9) followed with a 75th place effort, as Lexa Hayes (24:31.4) and Ashton Guthrie (24:44.0) posted 115th and 116th place finishes, respectively. .
Alysa Howard (26:00.8) and Megan Ross (26:59.6) rounded out the top-seven finishers for Eastern with 123rd and 132nd place efforts, respectively. As a team, EHS posted a 13th place finish scoring 282 points. Southern’s lone representative Sydney Roush placed 55th with a mark of 21:55.3. 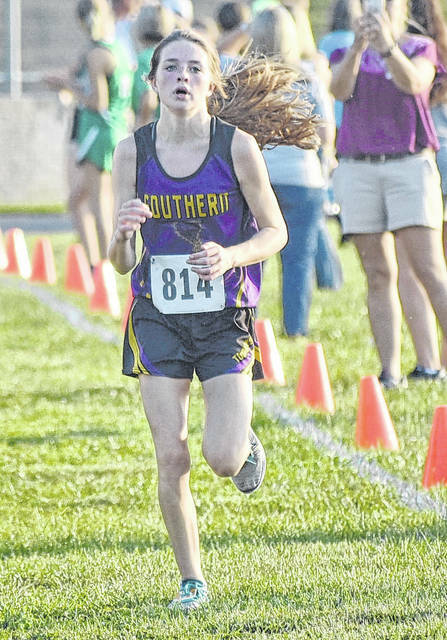 Allison Johnson of Mount Gilead won the girls race with a time of 18:38.4, while her teammate Baylee Hack placed second with a mark of 18:41.9. Shadyside’s Chase Stewart won the boys race with a time of 16:28.6, while Julian Shrock of Garaway was the runner-up with a time of 16:35.7. Mount Gilead came away with the boys team title after posting a winning total of 44, while Fredericktown was second with 68 points. Leesburg Fairfield (103), Columbus Academy (137), and Trimble (179) were next to round out the top-five team state qualifiers. 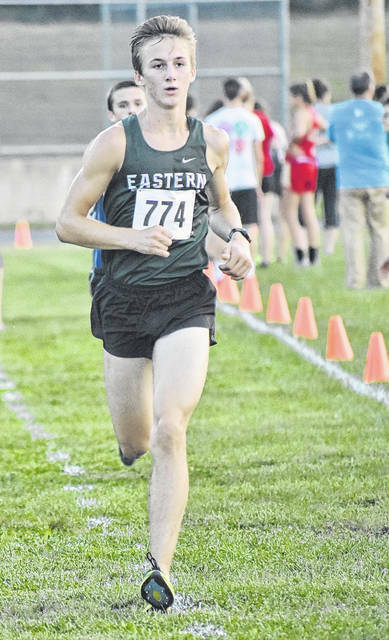 Eastern’s Colton Reynolds was the top-local finisher in the boys event, as he posted a 54th place effort with a mark of 18:09.6. South Gallia’s lone representative Garrett Frazee placed 83rd overall with a time of 19:05.9. Visit baumspage.com for complete results of the 2018 Division III OHSAA Regional Cross Country meet.